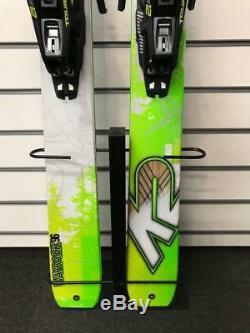 K2 Wayback 96 2017 Ex-Demo Skis 177cm & Marker F12 Tour EPF Bindings. The Skis have have been used for between 3-5 days, on British Ski Industry Ski Tests in the Alps. The Skis and Bindings are generally in great condition, which can be seen in the images. 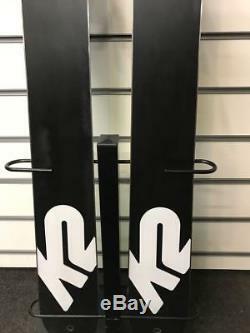 These skis have been used, so will have minor scratches on the top sheet and bindings. If there is any major aesthetic damage, it will be shown in the images. If you would like any additional images, please get in contact with us. All of the Skis & Bindings have been professionally serviced and are ready to use. 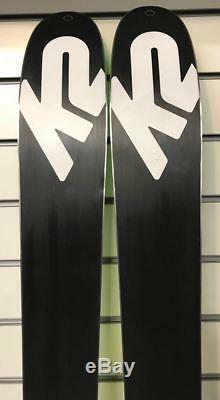 K2 Wayback 96 2017 Skis 177cm. Ski Level - Intermediate / Advanced. Ski Type - Touring / All Mountain / Freeride. The WayBack 96 toes the line with a narrow 96mm waist built for the uphill and makes those earned turns well worth the squeeze. 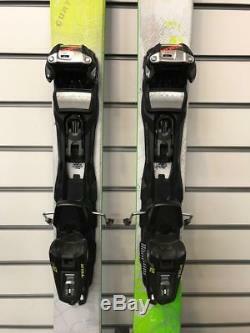 Marker Tour F12 Bindings - Size Small (Ski Boot Length - 265-325mm). Designed for the skier looking forward to the descent as much as the ascent and a general focus on light weight. DIN RANGE 4.0 - 12.0. REC SKIERS WEIGHT 50Kg + kg. TOE SYSTEM Triple Pivot light. AFD GLIDING PLATE height adjustable. COLOR COMBINATION black - red - white. Here at Snow Lab, we offer a free bindings set-up service, for all of our Ex-Demo skis. To take advantage of this service, we will need the following details from you. The boot sole length is usually stamped into the outer plastic shell of the boot around the heel area. Eg It should read something like 307mm. The size of your boots but the toe to heel measurement of the sole of the boot. 2004 Real Shop With Real People! - Please include a telephone number during checkout to assist our couriers. 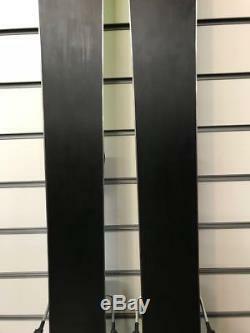 The item "K2 Wayback 96 2017 Ex-Demo Skis 177cm & Marker F12 Tour EPF Bindings" is in sale since Friday, July 20, 2018. This item is in the category "Sporting Goods\Skiing & Snowboarding\Downhill Skiing\Skis". The seller is "snowlabshop" and is located in East Sussex. This item can be shipped worldwide.